Find Out If You Need to Clear Your Energy Now! 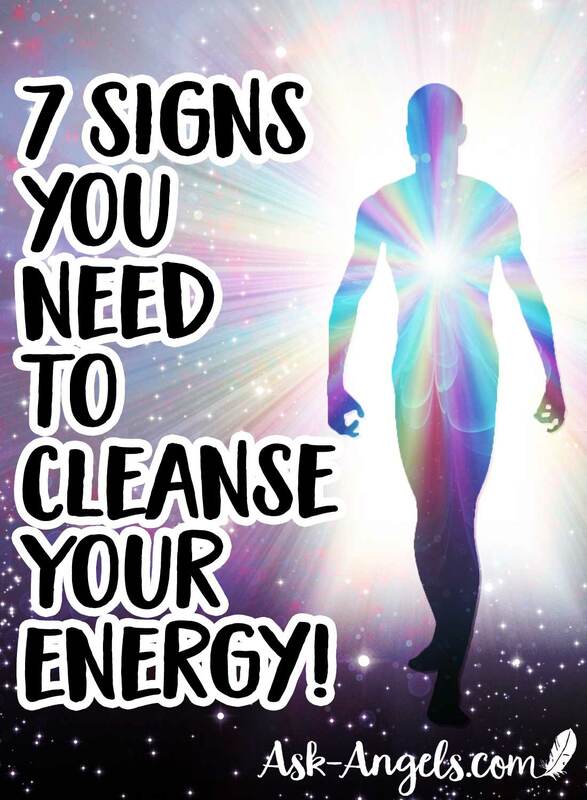 Wondering if you need to cleanse your energy? Keep reading because I'm about to share with you the seven signs it's time to clear your energy. These are not absolute rules, but rather indicators that you likely are carrying with you in your etheric energy body or in your aura, some sort of negativity or density that you'd benefit greatly from cleansing and returning in the present moment to love and presence and light. Lets’s dive right into these now. The first sign that you need to cleanse your energy, is that you feel angry, stressed or tense. 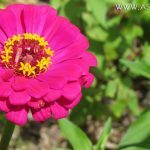 In our society today, it is a common belief that stress and tension are normal… But remember, that how you react to stress and tension is up to you, and while it may not seem like it, you have the ability to respond to even the most stressful situations with presence, compassion and love. So, if you find yourself triggered by situations in your life, and you feel stressed or angry… Just know that that is one of the signs that you may have something in your energy field needing to be cleansed and released. Maybe it's a habitual pattern… Maybe it's a default reaction… But those things too can be cleared out and released. Also, encountering negativity in others has a way to influence your energy, and can make you feel or respond negatively as a result. So … If you’re feeling that stress and negativity within or around you, remember that you can let it go, and use it as a cue to cleanse your energy. The second sign that you really need to clear your energy is that you're feeling blocked. This can take a couple of forms… Maybe you're trying to make things happen in your life, you're trying to manifest. do your work and make progress on your path and yet you just keep encountering roadblock after roadblock, and challenge after challenge. Take this as a sign to clear your energy, because when your energy is clear, your reality tends to match that, where your highest and best path becomes clearly illuminated. It’s not that if your energy is shining clear and bright you never again have challenges, but with clear, bright energy, you're able to more effortlessly overcome challenges to keep making progress in alignment with your truth, with your mission, with your purpose and with your destiny. So if you're feeling blocked, cleanse energy, cleanse your space and begin anew. The third sign that you need to clear your energy is quite simply that you feel a bit off. Maybe something around you doesn't feel right, or you just don't feel right, but you don't really know why…? When you notice this feeling, take it as a sign that it's time to clear your energy. If you ignore the “a bit off feeling” it can progress to your feeling way off, and can even progress towards feeling depressed, stagnant, or frustrated. So catch yourself the moment you feel a bit off, or a bit moody, and cleanse your energy to return to center, return to presence, and allow love to circulate through your body, mind and spirit so you can more effortlessly shine your light and thrive in your life. If you still feel super tired and drained after getting a full nights (clear and sober) sleep, you're probably carrying some energy that's not yours or some energy that is yours but is not serving you is coming up for release… So let it go. If you're feeling overwhelmed, again, that's a sign that you're either up in your mind and not in your heart, or that there's something in your energy field that's triggering and amplifying that overwhelmed feeling. Again, you don’t need to carry that feeling of overwhelm, and you can release it, cleanse your energy and return to presence and love in the moment. The fifth sign that you need to cleanse your energy is physical pain that’s coming up without your knowing why. If you are having little aches and pains pop up that you don't really know the source of, especially in your abdomen, in your back or and your shoulders, neck, and jaw… These are all areas where tension is stored and “stuff” gets buried. Those little pains are call and a signal from your body and mind, that something is out of alignment. Whether that is your own limited or negative thinking, or some external energy in your field… You can use the aches and pains as a reminder to cleanse your energy. So when you have little aches and pains pop up, use that as a reminder to cleanse your energy, shield yourself with light and return to love. The sixth sign that it’s time to clear your energy is that you find you’re being extra clumsy. Maybe you run into something, maybe you walk into a wall with your shoulder, bump into someone walking by, you keep dropping stuff, or you just drop something that’s breakable and it shatters. Being extra clumsy is one of the signs that you’re carrying something in your energy field that's out of perfect crystalline coherence and that's out of alignment with Divine Love and with harmony and neutrality and peace… And coincidently is also out of alignment with the vibrational state that supports you in embodiment and shining your highest light. So if you're tripping over things, dropping stuff, or just generally being more clumsy, use that as a call to check in with yourself, and if needed cleanse your energy. 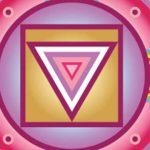 The final sign its time to clear your energy that I want to share with you is that you find yourself dwelling on the past. Whether you’re focused on past challenges, mentally replaying times you failed and let yourself or others down, or even dwelling about missing loved ones, or feeling like things used to be so much better in your life in the PAST. However you cut it, dwelling in past emotions and memories is a sign your energy could use some clearing. Because the thing is, your power, light and potential resides in the present. So if you’re dwelling on the past, you’re cutting yourself off from the power and the truth of your light. And there are a few energetic attachments, even entities that want you to stay small, stay dwelling in the past, and to stay focused on old energies rather than embracing the present, and leaning into the now moment with your heart open and love in your field so you can open to your highest light. It’s just up to you to pay attention, cleanse and make the shift. Definitely check that process out. You have the opportunity to brightly shine, to live with radiant joy, to carry lightness in your heart and spirit, to shine your light, and to truly love your life. Know that not everything in your life has to change in order for you to live with incredible love and joy. When your energy is clear and bright, you can begin to thrive in your present situation… But then, by maintaining clear, bright energy, your present situation will likely change to come into greater alignment with the truth who you really are as a divine being in physical form. So… Stay present in the moment to notice when its time to clear your energy, and keep shining bright. Keep returning to love and let your highest truth, your Divine authenticity, the brilliance of your inner light, let it shine through all you do. When you stay in love you’re able to see and know how loved and blessed you really are.